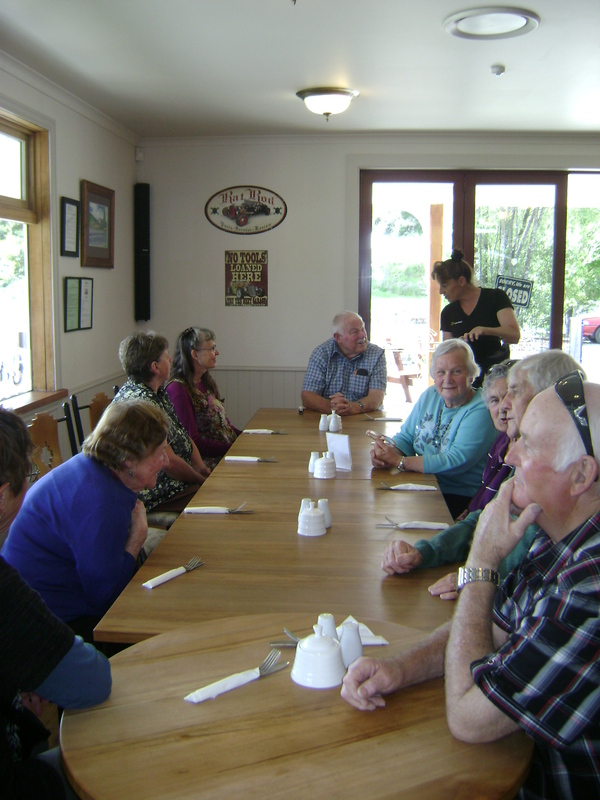 On Wednesday 23rd October members travelled south from Wakefield to the Kohatu Hotel on the main road to Murchison where they enjoyed an excellent lunch and a guided tour of the premises by host Maureen Crook. 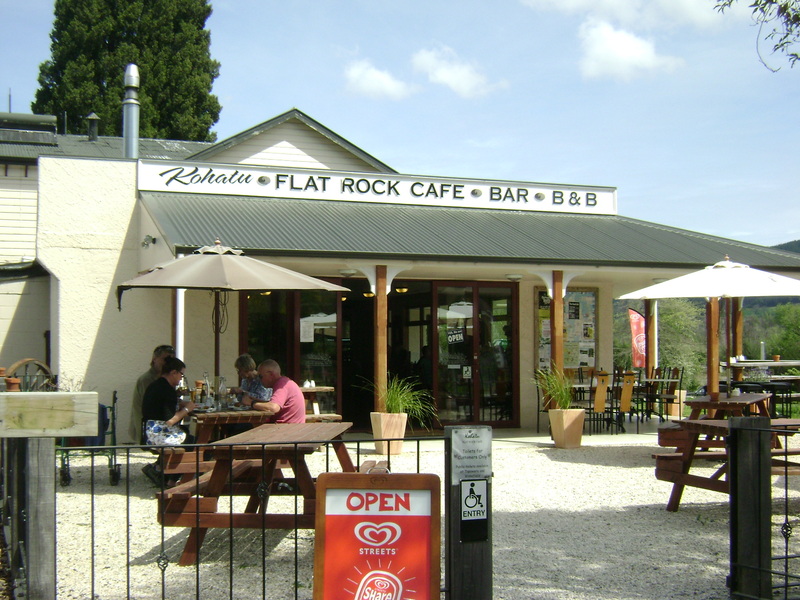 The Kohatu Hotel on the corner of the road to Tapawera and the main highway to Murchison. The re-named Kohatu Hotel’s northern entrance through the beer garden. in the bright spring sunshine with leafy green willows and fresh spring growth in abundance. 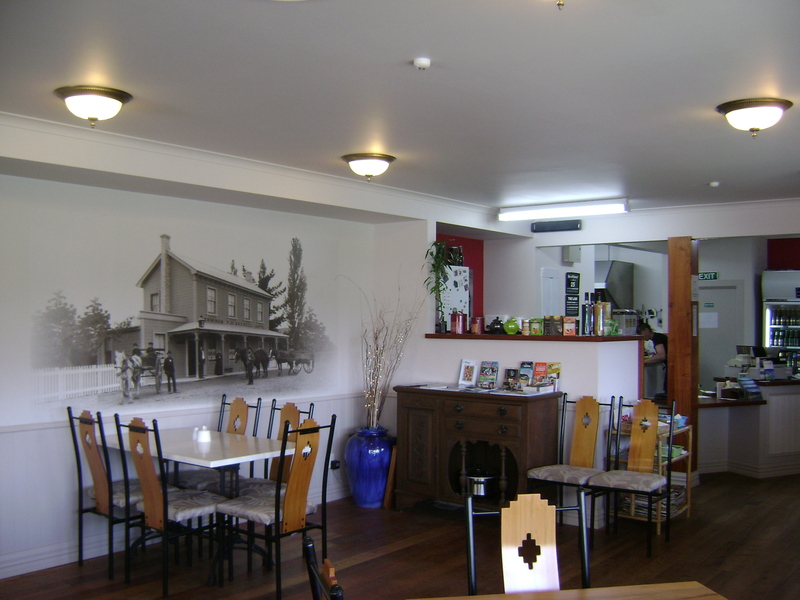 A view inside the dining room showing the impressive wall photograph of the hotel at the turn of the century. The menu choice was excellent and varied. 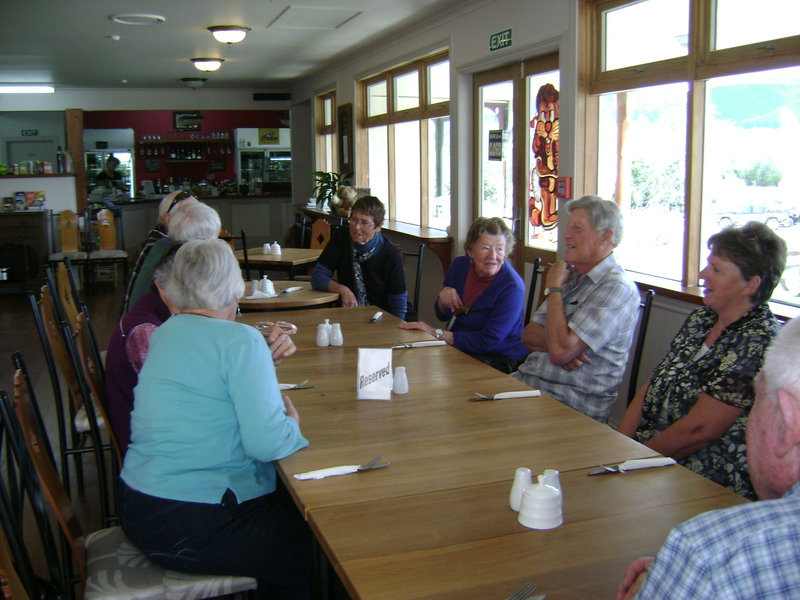 Members who wanted cakes and coffee to round off their meal were also presented with a variety of “goodies” to choose from. After lunch Maureen told us about the history of the hotel. The following information is from the grandson of Edmund Hacker Bromell. Zealand, arriving in Nelson in 1868. They settled first in Havelock where they set up the first store and Thomas worked at his trade. Mrs Bromell was the first white settler in Havelock. In 1976 they moved from Havelock and travelled via the Wairau to Tadmor. 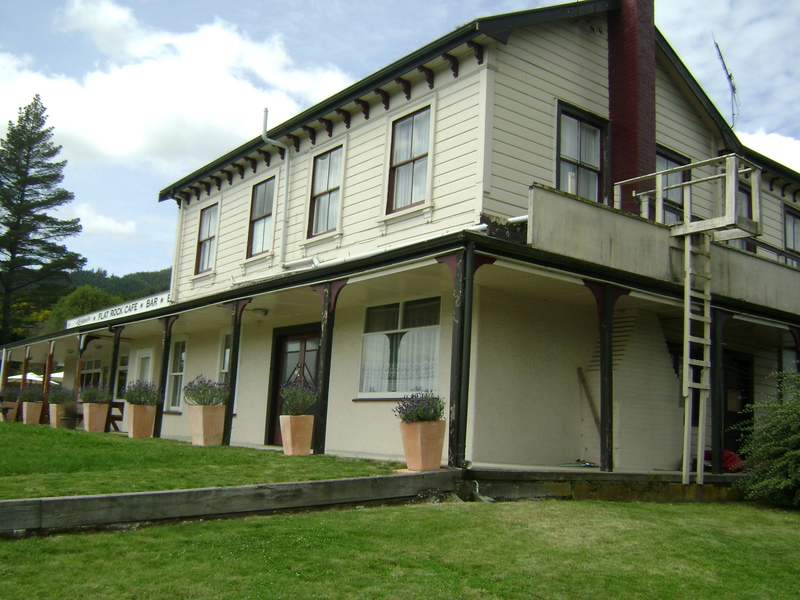 With news of the Nelson railway being built in the area, Thomas, with the assistance of Mr Harford built the hotel at Kohatu. 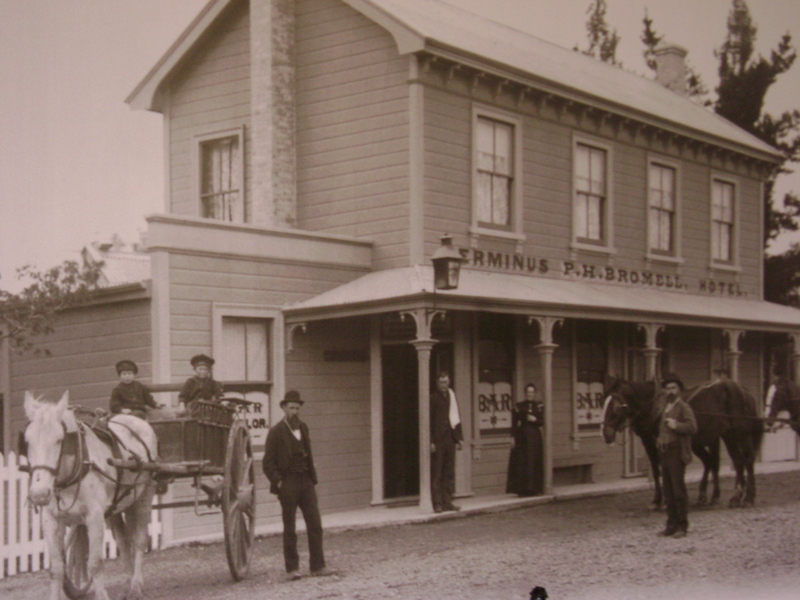 For a time it was known as” Bromell’s Hotel” and then the “Terminus” – later the “Kohatu”. 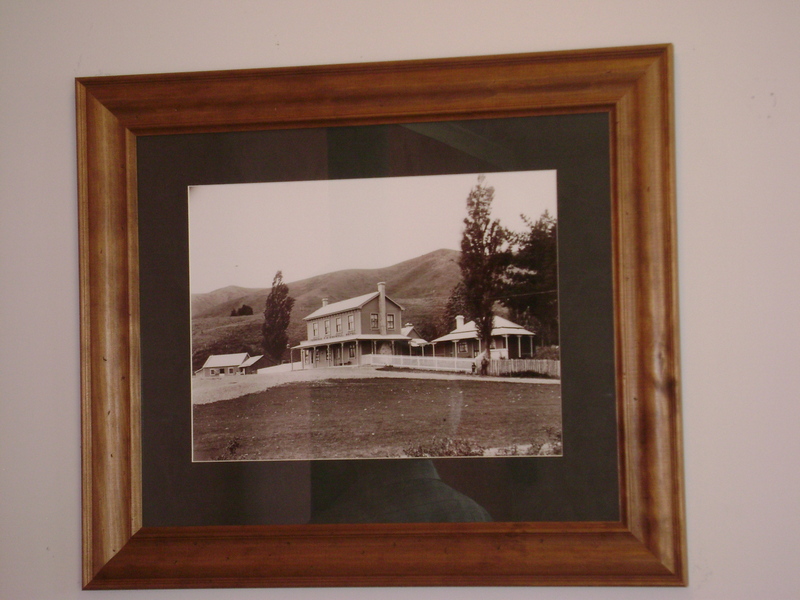 The hotel when it was named the Terminus from the days when Nelson had a railway. This photo strikingly covers one wall of the dining room. An early photo showing the second storey added by son Phillip (Harry) Bromell after he took over from his father. The hotel continued in the family when son Phillip (Harry) took over from his father. He built on a second storey. Thomas and his wife returned to farming in Tadmor. When Harry sold the hotel to Mr Grindle in 1908, it stayed in this family until 1971. 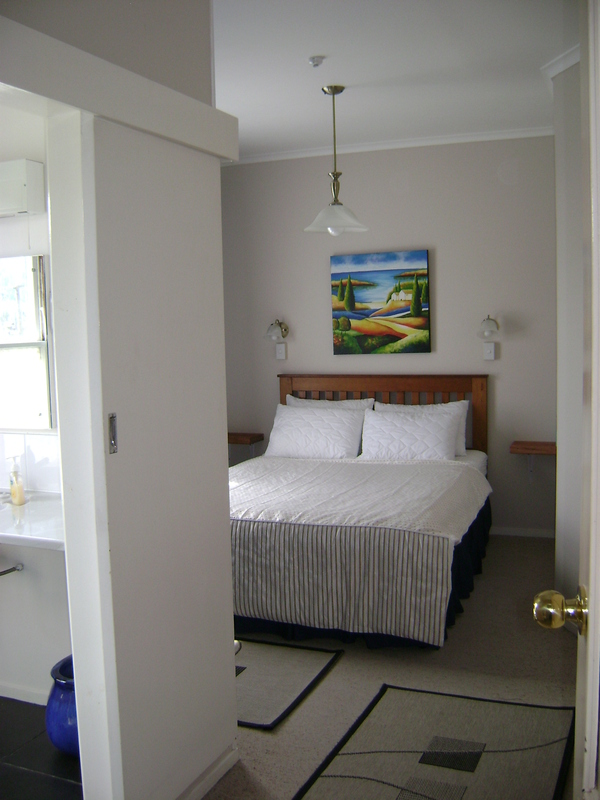 Thomas retired to Seymour Avenue in Nelson with his wife to a house named “Tinteru”. He died in Auckland while visiting there in 1913 and is buried in the O’Neill’s Point Cemetery. 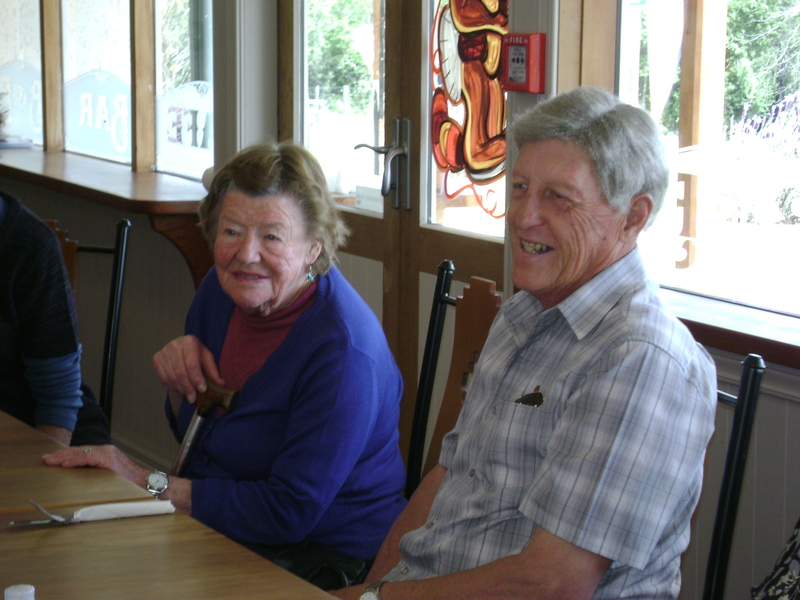 Deputy President, Wayne Price and Margaret Fenemor enjoying a chat with other members. The dining room looking towards the bar. Altogether it was a very pleasant outing and well worth a visit. We wish the current owners every success and more if the proposed cycle trail follows the old railway line to Tapawera. Where else in the world…but in Wakefield?